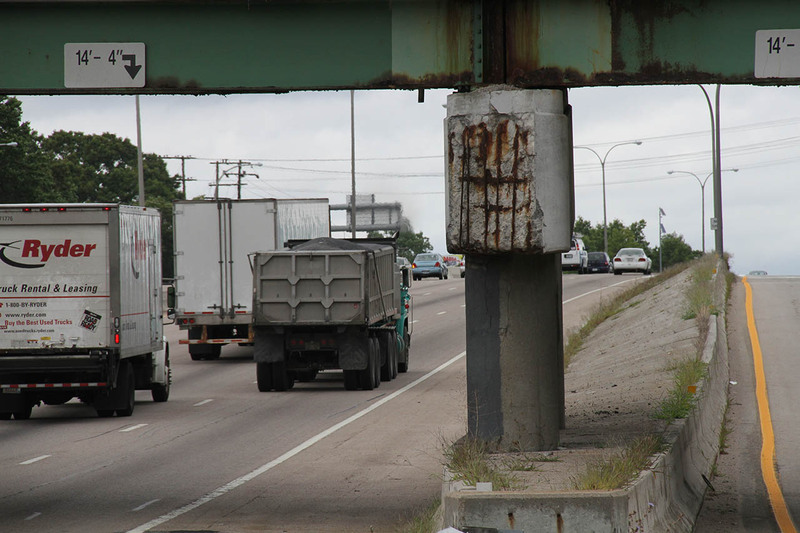 The truck and its load are too heavy for Rhode Island's crumbling infrastructure. Rhode Island news channel WJAR is reporting that a semi-truck with 16 axles and 100 wheels had been stopped along I-95 in Rhode Island. The Rhode Island Department of Transportation stopped the truck and flatbed trailer because its load was too heavy and had not been properly permitted. The truck and its cargo are apparently are over the weight limit for the approximately 40 bridges along its route to its destination in Massachusetts. In fact, it had already crossed five of those bridges. How heavy you ask? The truck's cargo, a generator tips the scales at 560,000 pounds, or 280 tons. The RIDOT said that a due to structural issues with the state's bridges, a collapse would have "very likely". Bay Crane, who is overseeing the transport had applied for a permit, but it had not been approved. The RIDOT pulled the truck over on the interstate yesterday. Overnight it was moved a short distance to a "park-and-ride" lot, where it will sit. Now, the RIDOT is trying to determine how to remove it from the lot. 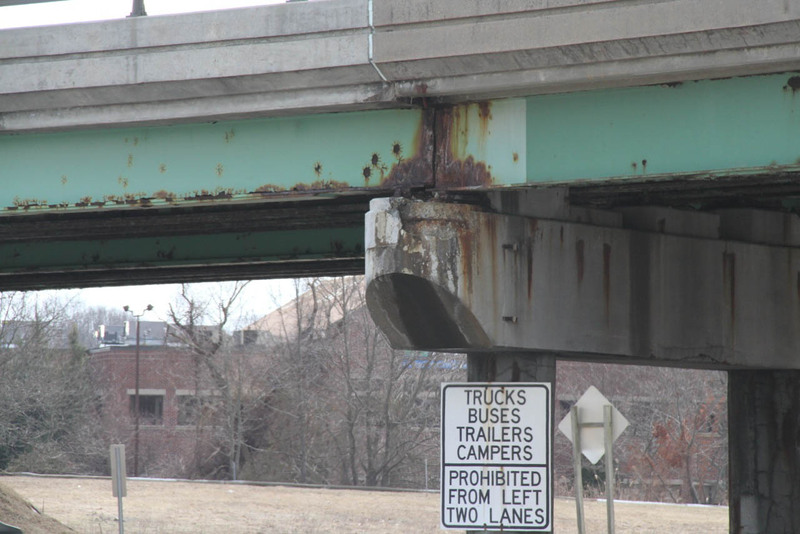 The truck had already crossed several bridges before it was stopped and the RIDOT isn't willing to let it go back over them. When asked if Bay Crance had explained why the transport started without the proper permits, Alviti simply said "Nope." We've all seen massive trucks hauling heavy, oversized loads around on the interstate. The 100 wheels of a rig like this are in place to disperse the weight of such a large load so that it's possible to transport it. 280 tons spread out over 16 axles and 100 wheels are far gentler on the road than the same load split between 5 axles and 18 wheels. So how bad are Rhode Island's bridges that this would have been an issue? 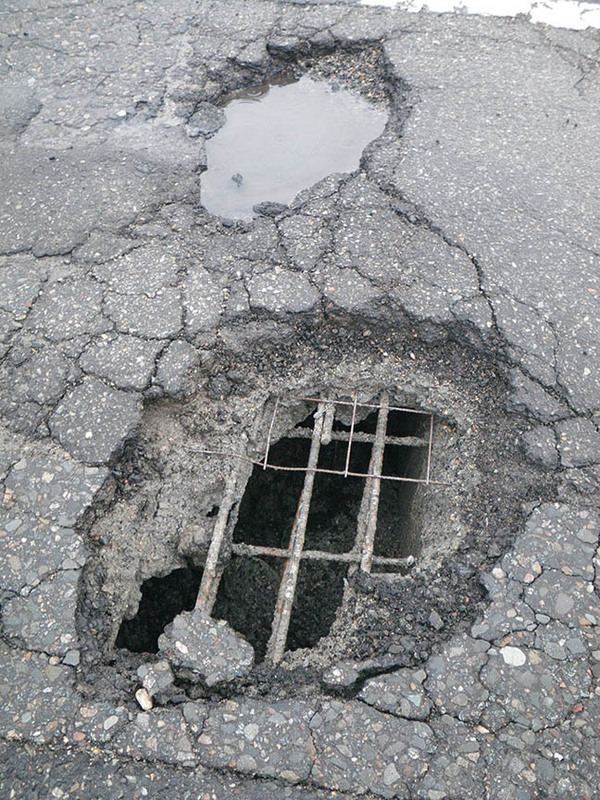 According to the RIDOT website, very bad. Frighteningly, the state the truck was on its way to, Massachusetts, is ranked right next to Rhode Island on this chart. 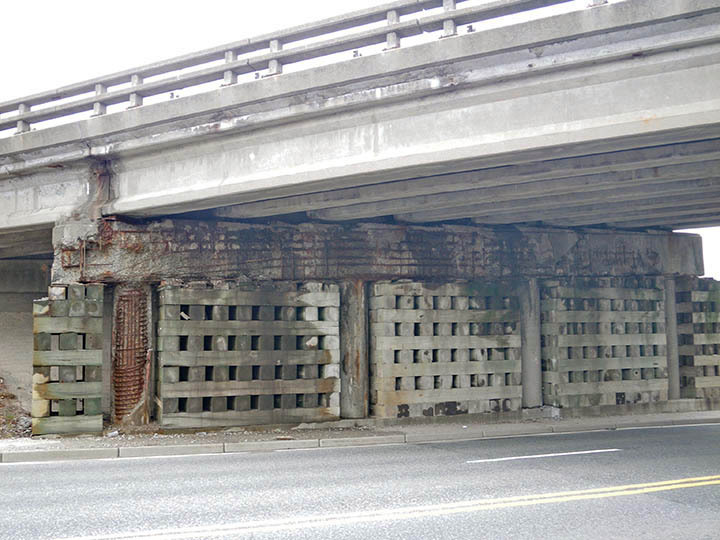 Some images from the RIDOT highlight the state of some of its bridges. It is not a pretty sight. Kudos to the RIDOT for spotting this rig on the road and stopping it before a disaster happened. Now they have to figure out what to do with it. If a route without bridges can't be found, WJAR reports that the only option left would be to disassemble the generator on-site and move it out piece by piece. Aging infrastructure and obsolete engineering can have fatal consequences. A carefully choreographed dance across Washington State highways. It certainly has the coolest name of any truck we've heard of.